procedure. I will convey this to my other friends and relatives too. Baba! Bless our didi with good Health and Peace. 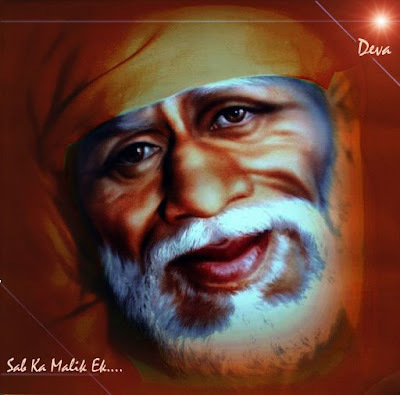 DAYA KSHAMA KRIPA KARO SAI DEV!!!!!!!! i dont know if i should say you thanks or its just a part of baba's leela? actually i know nothing about the worship methods of baba.you have guided me to go ahead on baba's sadhna marg,(which i always need). iske alawa bhi mai baba ko daily bhog lagat tha aur woh bhog ek container mai rakh deta tha. as i dont know much about "NIYAM" and "METHODs",i was realy confused, what to do of baba's bhog? aur mai ye sooch hi raha tha ki mai baba ke is mandir mai apna sawaal punchho.aur aap ne bina punchhe hi mujhe jawaab de diya hai. someone suggested me to give it to baba's temple.but unfortunately i forgot to take it yesterday (this thrusday).and i was feeling very bad. lekin aap ki madad se mujhe mere sawaal ka jawab mil gaya hai. ab mai bhi intjaar karunga ki mera chdaya hua bhog baba ko arpit ho sake. lekin mai ye nahi janta ki mai ye bhog baba tak kaise pahuncha sakunga? magar jis sai ne yaha tak mera marg darshan kiya hai wohi sai mujhe aage bhi rah dikhayenge. shayad aap ke through baba ne mere sawaal ka jawaab de diya hai. plz explain,what do you mean by "sugar candy?" OMSAIRAM!Deepak ji..It's our sweet mishri. Dear Deepak Pahwa ji, Sai Ram! It looks like big size crytals of sugar. It is called as "sugar kalkand" in some local shops. baba sab par apni raham najar kare. Subhasirni ji, thank you for sharing this lovely pooja for baba i will do it, but i am confuse about "sugar candy", could i use only sugar for that? if i not provide misary could i use any other sweet or sugar? please write me back. Anything is fine.Sugar,kalkund or candy. Our sweet prayers are more important to our Baba. I wish you goodluck for all your prayers. Thanks a lot for the prayer procedure. Actually i dont know how to pray babaji, but now you have given a guidence to start my prayer. I thank once again and i will start this pooja from tomorrow onwards. Thanks a lot for sharing this pooja. This is a great pooja as deepak ji has seen Sai nath. wow i am so surprised that he has got sai darshan. when i read his message the tear came out of my eyes. this is a miraclaous pooja. i'll also start doing this. Thanks again. SAIRAM SUBHAJI, THANK YOU VERY MUCH FOR SHARING BABA'S POOJA WITH ALL OF US. 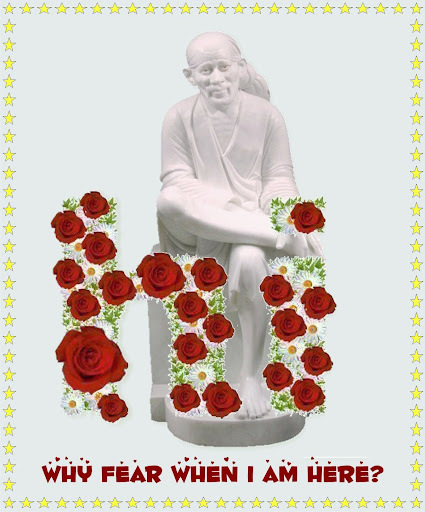 MAY BABA BLESS YOU WITH GOOD HEALTH AND HAPPINESS AKLWAYS.